The memorial plaque, located at the KKL-JNF 9/11 Living Memorial Plaza in Emek Ha’arazim, Jerusalem, was established following the tragic terror attack last October. Mayor of Pittsburgh Bill Peduto, made a special visit to the memorial plaque established in honour of the Tree of Life – Or L’Simcha Synagogue shooting victims. 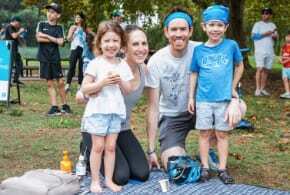 Not long after news broke of the tragic terror attack, Keren Kayemet L’Israel-Jewish National Fund (KKl-JNF) leadership decided these victims should be commemorated in Israel with a symbolic memorial, as part of the unyielding commitment and dedication KKL-JNF has for the Jewish Diaspora. The memorial plaque was established just several weeks after the Pittsburgh synagogue shooting. Mayor Peduto was welcomed by the Head of the Masorti-Conservative Movement in Israel Dr Yizhar Hess on behalf of KKL-JNF, and KKL-JNF Chief of Protocol Andy Michaelson, who also gave the mayor a tour of the 9/11 Living Memorial Plaza established by KKL-JNF and JNF-USA. 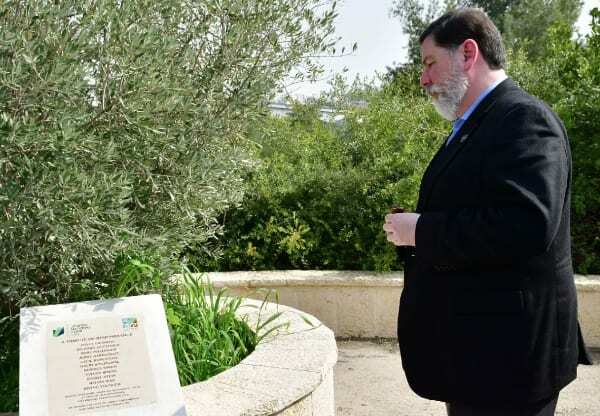 Following the tour, KKL-JNF held a formal planting ceremony for Mayor Peduto, in which he planted an olive tree to symbolize peace and continuity. 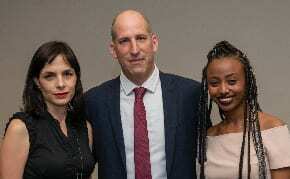 The mayor’s visit in Israel is taking place as part of the 33rd International Mayor’s Conference held by AJWC and American Jewish Congress. After seeing the memorial plaque, Mayor Peduto said: “I have a long history with the Tree of Life congregation, I knew some of the victims personally. Unlike 80 years ago, when Jews were murdered, when synagogues were destroyed and businesses were shattered, when the community called this time, the police didn’t turn their back, they ran in to help. Politicians didn’t look the other way or try to hide, they stood up and said never again. And business leaders and community leaders gathered as one and said ‘an attack against one is an attack against us all’”. Dr Hess on behalf of KKL-JNF, said, “I would like to thank you for taking the time to visit this symbolic memorial for the victims of the Tree of Life Synagogue shooting.